Gold is causing the bulls some grief this week as it is just not quite ready to move higher. A brief flurry after the results of the election in Italy quickly eased off and the metal is sitting in a range. Expectations of an interest rate rise in the United States is providing a damper on any price rise. Recent economic numbers from the United States indicate that the US economy is doing well, Gold had risen on the expectation that a Trump Presidency would bring volatility to the market and that has not happened. Instead, the markets have risen sharply since the US Election and the price of Gold has drifted lower. At present the price of GOLD is hovering at close to a ten month low while markets and bond yields are moving higher. Monetary restrictions in India have contributed to a decline in demand for Gold from the jewellery industry. There are some signs of a future price rise on the technical charts. However, the Gold price at this time is stagnant and until investors start to move money into Gold it will not be moving far. I have located an excellent article that I am copying into here in its entirety. This is a very detailed research into the management of Gold and well worth reading a few times. When discussing bullion banking mechanics, it’s important to understand what a bullion bank actually is, and what activities bullion banks engage in. This appreciation also helps highlight the major concerns which modern bullion banking poses. The term bullion bank can be applied to banks which are involved in some or all of the following activities in the precious metals markets: trading, clearing, vaulting, physical metal distribution, risk management, intermediating between metal lenders and borrowers, mine finance and hedging, financing fabricators, providing consignment stocks, generating precious metals market research. This list is not exhaustive. Most bullion bank activities are carried out from within the commodities or foreign exchange arm of an investment bank, as well as the corporate finance divisions of the same banks. Furthermore, nearly all bullion banks maintain membership of the London-based trade association, the London Bullion Market Association (LBMA) and also usually the London Platinum and Palladium Market (LPPM), which is a sister trade association of the LBMA. While some of the above financial market activities sound innocuous and would be expected to be normal activities of any merchant bank / investment bank involved in the financial and commodities markets, the unique structure of the modern-day global wholesale bullion markets as well as the unique monetary characteristic of gold and silver mean that it’s important to appreciate how bullion banks carry out these activities. 6. Who are these Bullion Banks? The core concern with contemporary bullion banking is that it is a fractional reserve system in the same way as commercial ‘cash’ banking is. The bullion banking fractional reserve system also supports highly leveraged trading. Furthermore, the bullion banking fractional reserve system is opaque since there is very little transparency into the banks’ activities in this market. In regular fractional reserve banking, a commercial bank’s liabilities consist of the cash that it accepts as deposits and the funding that it raises on money markets. Conversely, its assets are the money it loans out or invests. A commercial bank will also keep a fraction of its deposits in reserve to pay liabilities which come due, such as customers withdrawing funds from their bank accounts. Hence the name fractional-reserve banking. The cash deposited into a bank by depositors is not the same cash that they receive back, just an equivalent amount. This is because cash / fiat currency is fungible. Nowadays, regular banks also create money out of thin air on the asset side of their balance sheets when they engage in lending. This activity of lending actually brings new money into existence. The key point here is that modern-day bullion banking system operates in the same way as regular fractional reserve banking operates, the only difference being that contemporary bullion banking brings large amounts of paper gold into existence. In contemporary bullion banking, the amount of gold circulating in the bullion banking system is not fully backed by physical gold. It’s only fractionally backed, and in some cases may be unbacked. The lack of data divulged by the LBMA and its regulators makes complete analysis difficult. You might think, I can see how new fiat currency can be created out of thin air since its either printed or credited electronically, but gold can’t be created out of thin air, can it? The answer is that, in the modern bullion banking system, “gold” can be created out of thin air, and is created out of thin air, as a form of paper gold or synthetic gold. To understand how this is possible, it’s important to understand the concepts of allocated and unallocated gold accounts as they are used in the world’s primary wholesale gold market, the London Gold Market. In an allocated gold account, as defined by the LBMA, a bullion bank holds physically segregated gold on its clients’ behalf acting in the role of custodian. That gold is said to be “ear-marked” or “set aside”, and the bank’s customer has full legal title to the specified gold, which is documented by a weight list or inventory list. In a bankruptcy scenario, the bank’s creditors cannot access this gold since it does not belong to the bank, it belongs to the customer. The only way there can be an increase (credit) or decrease (debit) in the account holding is through physical movement, an allocation of gold bars, or alternatively a book-keeping movement between two allocated accounts. In the London Gold Market, allocated precious metals accounts are bi-lateral agreements between two parties. The agreements are officially called allocated account agreements and there is actually a template contract for such agreements on the LPMCL website, drawn up by legal firm Clifford Chance. Note that this definition of ‘allocated’ is actually a universal definition, and applies to allocated storage accounts throughout the physical gold industry. Under the LBMA definition, an ‘unallocated’ gold account is one in which the customer merely has a claim on the bullion bank account provider for an amount of gold (assuming the account balance is in credit). The bullion bank in turn has a liability to the customer for the same amount of gold. Importantly, in the LBMA system, the customer ‘is an unsecured creditor’ of the bank. Transactions through LBMA unallocated gold accounts are represented by book-keeping credit and debit entries to the account. A template contract for an unallocated account agreement can be viewed on the LPMCL website. There are other definitions of unallocated outside the LBMA system in which an unallocated account balance means that the account contains a fine ounce balance of gold which is fully backed 1-for-1 by an equivalent quantity of gold. This gold would be held within a larger pooled holding. Such a definition of unallocated might be used, for example, is the physical gold storage industry. Unfortunately, the LBMA system has perverted the use of the word unallocated. In the words of the LBMA, an unallocated balance ‘represents the indebtedness between the two parties’. There are no specific gold bars set aside for the customer. The gold backing the account, if there is any, is owned by the bank, not the customer. Such gold is general inventory gold of the bank, analogous to a commercial bank keeping a fraction of cash on hand to pay customers who wish to withdraw cash from a bank branch or ATM. Similarly, in bullion banking, the unallocated account balances recorded by banks against which customers hold claims for gold are only fractionally-backed. As to what fractional ratio is backing the LBMA unallocated account system is unclear since neither the banks nor the LBMA nor the regulators ever publish such figures. But the ratio of unallocated balances to allocated gold backing such balances might be anywhere between 20:1 and 100:1. Importantly, in the LBMA system, an unallocated account balance of paper gold can also be created by a bank purely as a book-keeping entry. Under such a scenario, a customer approaches a bullion bank requesting to purchase unallocated gold within the LBMA system as a means of achieving exposure to the gold price, e.g. for speculative purposes. The bank credits the customer’s unallocated account with a ‘balance’ of gold. The bank may hedge its liability to the customer by creating a long position for unallocated gold via the loco London OTC market, but this just means another bullion bank takes the other side of the trade, and so on along the chain. The bullion bank may even offset its liability by using exposure to a COMEX gold futures contract. The unallocated account customer thinks he/she hold a balance of gold, and probably doesn’t really care, but the customer’s contract is merely a claim on the bank that has offset this exposure elsewhere in the markets via another unallocated account position or a futures position. If the customer wants to receive actual physical gold, this gold needs to be ‘allocated’ by transforming the unallocated credit balance into allocated gold bars. The gold which arises from this process is referred to by the LBMA banks as ‘converted precious metal’. In a bankruptcy scenario of a bullion bank, the bank’s general creditors have access to whatever metal is backing an unallocated account, since it belongs to the bank, not to the bank’s customers. Revealingly, there are no storage fees charged for holding an unallocated account in the LBMA system, since the customer doesn’t own any metal. Given that banks usually pass on their costs to their customers, it’s possible that there is no metal whatsoever in storage on behalf of the bank, or else the bank would be motivated to forward this cost onto its customers. Bullion banks in general don’t want to hold physical gold since their incentive is to minimize costs. Likewise, there are no insurance costs for the customer in holding ‘gold’ in an unallocated account because there is no customer gold being stored. The only fee a customer is charged when holding an unallocated gold account is an account maintenance fee, just like a checking account or savings account fee in a branch bank. This HMRC view in itself shows the true nature of an unallocated gold account since its essentially equivalent to a checking or savings accounts at a bank. Therefore a customer holding gold in an unallocated account as a store of value or as a safe haven is actual holding nothing of the sort since the holding is merely a claim on a bank that is engaged in fractional-reserve banking. Even if a customer deposits real physical metal into an unallocated account, which is a normal process within the LBMA world and a scenario which is addressed within the ‘unallocated account agreement’, the deposited gold then becomes the property of the bullion bank, and the depositor ends up holding a claim on the bank for that amount of gold. This process, and the legal rights and obligations of the involved parties, is virtually identical to a regular bank account where cash is deposited. After the gold has been deposited and it becomes the bank’s property, it is then fungible with the bank’s other gold holdings, and it can be traded, swapped, or loaned out, or can form the basis of investment products launched by the bank, since it has become the bank’s property and has ceased to be the customer’s property. A depositor of physical gold into an unallocated account with a bullion bank therefore loses ownership of that gold in return for a mere claim on fractionally reserved gold. There is one more critical concept in bullion banking. This is the concept of ‘loco London’. Applied to gold, ‘loco London’ simply means a quoted price is for a trade which settles using unallocated gold ‘delivered’ in London, i.e. the trade settles using the London Gold Market system of unallocated gold accounts and clears though the unallocated London Precious Metal Clearing System (LPMCL) clearing system. The standard for the metal that an unallocated balance represents is theoretically defined as 995 fine gold in London Good Delivery Bar format. However, nothing is actually delivered under unallocated trading, i.e. there is no physical transfer of anything between the parties to the transaction. The transfer is merely a book entry. Who are these Bullion Banks? There are at least 35 bullion banks active in the global gold market, and arguably more depending on how one defines an active and important bullion bank. The LBMA membership system is useful in classifying these banks. First there are the 13 market making members of the LBMA. These banks are BNP Paribas, Citibank, Goldman Sachs International, HSBC, ICBC Standard Bank, JP Morgan Chase, Merrill Lynch International, Morgan Stanley & Co International, Société Générale, Standard Chartered Bank, The Bank of Nova Scotia – Scotia Mocatta, Toronto-Dominion Bank and UBS. In addition to these market makers, full member bullion banks of the LBMA include Australia & New Zealand Banking Group (ANZ), Natixis, Credit Agricole CIB, Bank of China, Credit Suisse, Macquarie Bank, Royal Bank of Canada, Bank of Montreal, Commonwealth Bank of Australia, Westpac Banking Corp, Mitsubishi Corp International (Europe), Sumitomo Corporation Global Commodities, and German landesbanks Bayerische Landesbank and Landesbank Baden-Wurttemberg, as well as German bank Commerzbank which operates its bullion banking activities from Luxembourg. Commerzbank claims to be one of the top 3 bullion banks in the world. Three large and high-profile banks which were involved in the bullion market but which have all recently retrenched or scaled back their activities are the UK’s Barclays Bank, Germany’s Deutsche Bank, and Japan’s Mitsui & Co. Precious Metals Inc. Another notable departure some years earlier (in 2004) was the legendary N.M. Rothschild & Sons. With the evolution of the Chinese gold market, a number of Chinese banks can also be classified as bullion banks. These include Bank of Communications, China Construction Bank, and Shanghai Pudong Development Bank. Likewise, within the Russian precious metals market, the following banks are also part of the bullion banking network: VTB, Sberbank, MDM Bank, and Bank Otkritie. The customer bases of these bullion banks includes central banks, precious metals brokers, other financial institutions, investment funds, mining companies, precious metals refineries, precious metals mints, jewellery fabricators, bullion wholesalers, and industrial fabricators. Unallocated gold, silver, platinum and palladium accounts are not just a niche area of bullion banking or an abstract concept. This LBMA unallocated accounts and positions system is at the heart of the bullion banking fractional reserve system and nearly all of the activities that bullion banks are involved in. Many legitimate transactions involving precious metals miners, refiners and their clients use metal balance accounts where a quantity of precious metal in fine ounces transfers ownership between a mine and a refiner or a refiner and a bullion bank. Locations swaps (facilitated by bullion banks) in which refineries and their customers swap precious metals held in two locations to save on transport costs would also be legitimate uses for metal balance accounts. These balances are actually backed up fully by physical metal and are a convenient way for precious metals to be passed along the supply chain. However, the growth and proliferation of the London-based fractionally-backed unallocated precious metals trading, which is often leveraged, is a problem, and has little to do with the legitimate processing of precious metals from mine to user. The premier, or first-tier, bullion banks are almost all active in the London Gold Market and London Silver Market given that London is the world’s largest gold market. The bullion banks operate in this market since they are attracted to the market’s ‘liquidity’ as well as the market’s Over-the-Counter (OTC) characteristics. Crucially, the trading, settlement, clearing and lending systems which have evolved in these market over the last 30 years employ post-settlement ‘delivery’ in the form of ‘loco London’ through ‘unallocated accounts’. A quick run through these activities provides a flavour of the scope of activities bullion banks are engaged in within trading, clearing and lending of gold and other precious metals. Bullion Bank activities within gold and silver trading include market-making in the OTC wholesale gold and silver markets in spot (immediate delivery), forwards (future delivery) and option products, as well as in trading gold and silver futures on futures exchanges. Trading also extends to participating directly in the LBMA Gold and Silver price auctions, an activity which also generates widely used pricing benchmarks. Bullion banks also create interest rates swaps, barrier options and structured notes linked to the precious metals, and offer clients exposure to precious metals prices through speculative and often leveraged forward trading. The same banks also often act as Authorised Participants for the creation and redemption of baskets of securities for the large gold-backed Exchange Traded Funds (ETFs), and they often also act as market makers for these products. All of this trading makes use of and settles in the unallocated paper gold system. In the London bullion market trade clearing is undertaken by a group of bullion banks through a private company called London Precious Metals Clearing Limited (LPMCL) and its opaque clearing platform called AURUM. 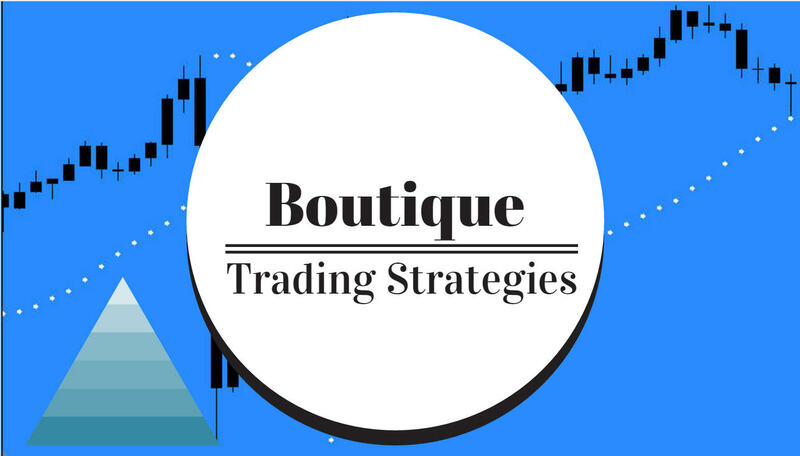 Trade clearing is the process of netting all trades and then processing the required transfers to reflect the trades between all participants. The entire LPMCL system utilizes the London bullion market’s unallocated accounts system. The London branches of five large global bullion banks are currently members of LPMCL. These five bank are HSBC, JP Morgan, Scotiabank, UBS, and ICBC Standard Bank. HSBC, JP Morgan and ICBC Standard Bank operate their own precious metals vaults located in London. Scotiabank and UBS do not. Bullion banks are at the heart of what is generally referred to as the gold lending market but which could equally be called the gold borrowing market. The Gold Lending Market is centred in London and is driven by the interplay of central banks, which lend their gold reserves to generate a small amount of interest, and bullion banks, which borrow this gold. Bullion banks then either sell the gold, lend it on to mining companies, allocate it to ETFs, use it as part of their general gold inventory to back up their trading activities and investment product creation initiatives, or use it to pay back gold obligations to customers who want to convert unallocated gold into allocated gold. Central banks generally lend their gold in the first instance for a short period of time, e.g. 3 months, and then they continually roll over these lent positions for years on end via short-term, e.g. 1 month “gold deposits” which the bullion banks take the other side of. When these gold deposits roll and get placed out with another bullion bank, the only change that happens is that Bullion Bank B takes over the obligation from Bullion Bank A to pay interest on the lent gold, but crucially, by taking over that liability, Bullion Bank B can then record that it has an asset of that amount of gold (an unallocated position), and it can trade that position or transfer it to another party. Gold swaps are a similar product to gold loans in which central banks swap physical gold for currency funding, such as for US Dollar funding. Bullion banks provide a number of services for mining companies such as lending gold to those mining companies which then repay this gold in the future out of their future gold production. Some bullion banks also enter into long-term purchase contracts with gold mines to buy their mining output, and some bullion banks finance projects for gold mining companies, structure hedging programs for the same companies, and manage the mining companies’ price risk using spot, forwards, and options contracts. Some global bullion banks are involved in physical precious metals distribution and logistics, for example, importing gold into China using a Chinese government issued license (HSBC, ANZ, and Standard Chartered), supplying physical precious metals into markets such as India (Scotiabank), and offering consignment stocks to wholesalers and fabricators in markets such as Dubai, Turkey and Thailand (JP Morgan). Bullion banks also execute location swaps for their customers where metal in one location is swapped for metal in another location to save on transport costs. A number of bullion banks act as Authorized Purchasers for mints such as the US Mint, or refineries such as Rand Refinery. Some bullion banks are active in making markets in gold coins, such as Commerzbank. In fact, Commerzbank also owns a share in a large Swiss precious metals refinery, namely Argor-Heraeus. Bullion Banks also create investment products backed by gold, for example, Scotiabank offers gold certificates. Many bullion banks generate weekly research on the precious metals markets. Last but not least, bullion banks are the most influential and powerful representatives involved in running the LBMA trade, and its sister organisation the London Platinum and Palladium Market (LPPM). While some of the activities described above purely involve physical metal, such as precious metal distribution and physical gold trading, many bullion bank activities are now based primarily on the loco London unallocated accounts system or interface into that system in some way. Even London precious metals vaulting services interface into the unallocated accounts system due to the mechanism through which an unallocated gold claim can be transferred into allocated gold, and vice-versa. It could therefore be argued that the physical side of the London Gold Market is merely a sideshow to the real business which bullion banks engage in, i.e. to make as much money as possible from trading paper gold by running the gold price up and down while keeping control of the physical gold market and keeping that market as opaque as possible. Since an unallocated gold account with a bullion bank merely represents a claim against a bullion bank. Since the account holder is just an unsecured creditor of the bank, the buyers of unallocated gold is taking on credit risk against the particular bullion banking institution that they enter the unallocated account agreement with. The unallocated account agreement also entails general counterparty risk since the bullion bank is the other side of the agreement. Such credit risk and counterparty risk would not arise if a customer was holding fully allocated and segregated precious metals. Holding physical gold or physical silver on an allocated basis in a secure vault, such as with BullionStar, does not generate credit risk or counterparty risk since the physical precious metals are held on a custody basis on behalf of the customer. With BullionStar vault storage, the customer purchases and stores bullion to which he/she has legal title, and the bullion is held in the vault on a segregated and allocated basis. The metal is photographed when added to a customer account and every customer can use BullionStar’s Live Audit report to see their own bullion held in storage under that account, as well as the metal stored for all customer accounts. Since unallocated account transactions in the London bullion market are rarely used for physical delivery of gold, the trading of such paper gold diverts demand into paper gold that would otherwise have been channelled into real physical demand. Therefore, the price of physical gold is not reflecting the demand that it would have reflected if paper gold alternatives did not exist. “Although the terms of the unallocated bullion account usually provide for the account holder’s right to demand the physical delivery of gold, the reality of unallocated bullion trading is that buyers and sellers rarely intend for physical delivery to ever take place. Unallocated bullion is used as a means to have “synthetic” holdings of gold and so obtain exposure to the price of gold by reference to the London gold fixing. In August 2016, the average daily clearing figure for gold between the five London gold clearers was 18.8 million ounces per day. This equates to 585 tonnes of gold loco London transfers cleared per day. With approximately 250 trading days per year, this equates to 146,250 tonnes of gold cleared per year in London. Given that the LBMA is on record as saying that trading volumes in the London gold market could realistically be 10 times more than clearing volume (since clearing volume represents netted trading volume), then this would imply 5,850 tonnes of gold traded each day in the London market, and 1,462,500 tonnes of gold traded each year in London. Given that world gold production (physical gold) throughout history is about 190,000 tonnes, half of which is held in the form of gold jewellery, and given that production from gold mining operations is about 3,000 tonnes per annum, then it should be obvious that the astronomical trading figures in the London gold market have nearly exclusively nothing to do with physical gold demand and supply trading and everything to do with speculative trading and other forms of unallocated account churning and transfers. This level of activity can only be possible if bullion banks have created huge amounts of paper gold through the use of unallocated account balances. The LBMA does not currently publish any trading figures for the London gold market, nor any data on the volume of physical gold trades or transfers undertaken in the gold market by its bullion bank members versus the volume of unallocated or paper trading transfers. Could this be so as to hide the mammoth activity of paper gold trading? Note that as of late 2016, the LBMA has promised that it will begin to implement some type of trade reporting of bullion market trades in 2017, but the details of such planned trade reporting remain unclear at this time. What Murray meant is that various investors held substantial claims against bullion banks for whatever gold and silver was in the London vault pool that was not allocated. You can see from the above list that very little of the trade types have anything to do with real transactions for physical gold or real physical demand for gold. The leveraged speculative trading and the investment fund activity underscore the disconnect between the physical gold market and paper gold trading which is in essence just a form of betting on “the gold price”. The bullion banks benefit in commissions and fees from the very high trading volumes of paper gold, without having to hold physical gold in reserve. Importantly, there is zero transparency into where the large gold-backed ETF custodians, i.e. HSBC and JP Morgan, actually source gold ETF inflows from. It appears that they source this metal from an opaque pool of wholesale gold that is held in the London market. Every new product and process that have been recently developed for the London Gold Market makes use of and perpetuates the London Gold Market’s fractional reserve / unallocated paper gold infrastructure. The LBMA gold price auction, which in March 2015 replaced the London Gold Fixing, and which is now administrated by ICE Benchmark Administration (IBA) on behalf of the LBMA, still uses unallocated gold as the settlement asset in the auction. According to the IBA Gold Auction Specification document, the “underlying asset is “Spot Loco London Gold (unallocated)”. While this new auction could have been totally redesigned to use physical gold transfers, like the physical settlement system used by the Shanghai Gold Exchange (SGE), this was never going to happen since the LBMA was running the competition which chose the winning service provider to administer the new auction, and the LBMA is at pains to protect the unallocated system since this system is operated by the LBMA’s most influential members, the bullion banks. The absurdity of calling something an ‘unallocated gold vault account’, when it’s merely an electronic account representing a claim against a bullion bank which holds no gold, or very little reserves of gold on a fractional basis, should be obvious to see. CME Group has also announced that it too will launch London gold futures contracts that will deliver unallocated gold loco London. In September 2016, BullionStar produced research into how many tonnes of physical gold were actually held in the LBMA vaulting system in London, concluding that there were 6500 tonnes of gold in the London market, 4725 tonnes of which was at the Bank of England, leaving 1775 tonnes at the other vaults. Of the gold in the other vaults, 1679 tonnes was held in allocated form by the gold-backed ETFs, again meaning that there was a very small residual (less than 100 tonnes) to back total outstanding unallocated account claims. Even if the bullion banks have access to borrowed central bank gold stored at the Bank of England, that gold is owed to the lending central banks, and therefore has multiple claims on it. If there was a run on the fractional reserve bullion banking system by customers wanting to convert their unallocated positions to allocated gold holdings, analogous to a bank run where all customers want to withdraw their cash at the same time, then this could lead to some serious problems in the ability of the bullion banks to provide the required gold. Such a situation would undoubtedly require cash settlement of customer positions, a move which would see the price of paper gold collapse, while the price of physical gold would skyrocket. There is a total lack of transparency in the London Gold Market. There is no trade reporting and no position reporting. This means that there is no visibility into the amount of paper gold trading vs trading related to physical gold, and no visibility into the volume of outstanding unallocated positions vs the amount of physical gold backing those positions. Therefore, there are no metrics as to the size of the fractional positions, i.e. the ratio of unallocated positions to allocated positions. The bullion banks have as of yet not cooperated in releasing trade information, so it appears they are protecting the status quo. The regulators, in the form of the Bank of England and the FCA, are also compliant by not devising a mandatory system of trade reporting, which incidentally would be very easy for them to do. The locations of the commercial gold vaults in London are not published by the LBMA. Compare this to New York, where the vault locations that are use and approved by COMEX are publicised and well-known. No confirmation of the identities of central bank & bullion bank customers at the Bank of England. The Bank of England does not even say how many bullion banks hold gold accounts with it, let alone the identities of these banks. There is no official data published about the London Gold Lending Market. Nothing at all. The Gold offer Forward Rate (GOFO) and Forward Curve submissions were discontinued by the LBMA banks as of January 2015. See BullionStar seminar speech “The Gold Market – Where Transparency means Secrecy” for more details about the lack of transparency in the London Gold Market.